Homepage The Factory barely changed in 40 years ! 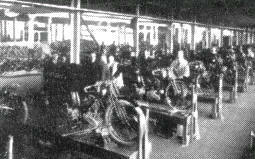 Much of the machinery in the factory when it closed was installed when the factory was built in 1908. Much of it was entered on the "King's Roll", a list of all factory machinery that could be called upon for service in the First World War.